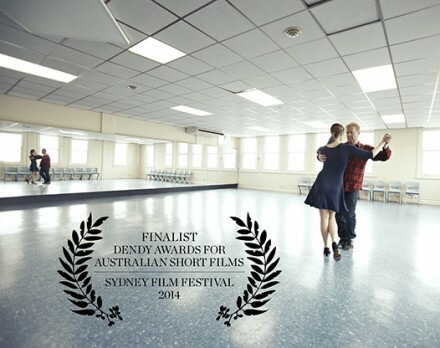 We are pleased to announce that Closer's latest short work, I WANT TO DANCE BETTER AT PARTIES, has been selected for Sydney Film Festival and in the running for a gong at the prestigious Dendy Awards. Co-directed and written by Matthew Bate and Gideon Obarzanek, I WANT TO DANCE BETTER AT PARTIES is a hybrid film that fuses choreography, documentary and drama filmmaking to create a unique and moving portrait of the true story of a grieving man. The film is a finalist in the Dendy Awards for Australian Short Films. Winners of the Live Action category and Yoram Gross Animation Awards are Academy Award eligible. PARTIES will screen with TENDER, another HIVE-funded project, and Matthew Bate will attend the festival to talk about the interesting process of creating this hybrid film at a special event called CROSS-POLLINATION, which will include TENDER director, Lynette Woolworth, on the panel. Gideon Obarzanek will be there on the weekend to introduce the film's screenings and attend the Awards nights (very important job). Batto and Gids and Wools in the same city? Nice job SFF! So if you're in Syds in early June head on over, you can grab tix here. Thanks to Vendetta Films and Closer Productions, if you book a group of 10 or more to go and see 52 TUESDAYS this week (Thursday 8th - Wednesday 14th) we will send you an amazing pack of goodies. 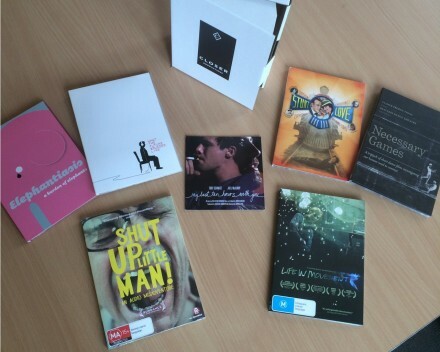 Pack includes a Closer DVD box set, with 7 Closer titles including the Sundance 2011 feature documentary 'Shut Up Little Man!' and the award-winning feature documentary 'Life in Movement'; a Vendetta Films DVD pack of their top 10 titles, including 'Girl with the Dragon Tattoo,' 'Mood Indigo', 'Sharknado', and 'Ip Man'; plus a full-sized poster of 52 TUESDAYS signed by cast and crew! There are 10 packs up for grabs, first come first serve, so simply send us the confirmation/ receipt of your group booking to bmason@closerproductions.com.au with your postage details to win! For links on where to watch and book in your city, go HERE. In an attempt to diversify our ever expanding portfolio, Closer Productions will be launching subsidiary "Closer Plays"; a boutique Sports Agency. This news comes hot on the heels of director Matthew Bate's new signing with Liverpool FC as their third-string water boy. Stay tuned.